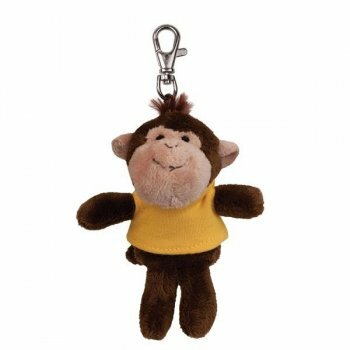 Personalized soft monkey key tags allow you to monkey into the hearts of your clients with ease. It is great for promoting zoos, animal shelters, pet shows, or even regular businesses, looking for a streak of entertainment in their branding. These plush key tags are CPSIA compliant and well-behaved than their real life counterparts. You will see your company name swinging around their neck with pride. Perfect for tradeshow gifting because we offer attractive discounts on bulk orders. Avail free customized X-small T shirt in color of your choice. 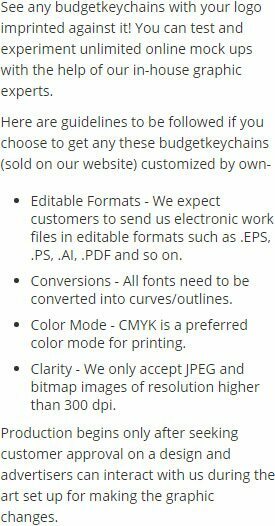 Request a quote to know discounts that you can avail on these customized soft lion key tags.